Another year is coming to a close. And, as I referenced in my Throwback Thursday post last week, many people are pretty happy to say goodbye to 2016. I've absolutely loved this year, though -- and my manicures are just one reason why. This year, I incorporated old standbys and new favorites into my nail polish rotation. I discovered (and fell in love with) some new brands and also revisited some of the colors I've loved for years. You may notice that some of the months are a bit more sparse or even missing in my roundup this year -- I must admit that I had some moments of bare nails! Looking back at my favorite manicures has become a pastime here on The Beauty of Life (for proof, check out My 2013 in Nails, My 2014 in Nails, and, yes, My 2015 in Nails). Revisit my favorites of 2016 with me this week! Rescue Beauty Lounge Morning Light: Faded gold microshimmer meets bluish grey in a shade so gorgeous, I couldn't help but start the year wearing it. Deborah Lippmann I'm Not Edible: The Deborah Lippmann Staccato Collection will always be one of my favorites. I love the bright hues and the buildable glitter. I'm Not Edible is one I go back to time and again, and I think it's pretty easy to see why. OPI Super Cute in Pink and Charmmy & Sugar: Pink perfection. 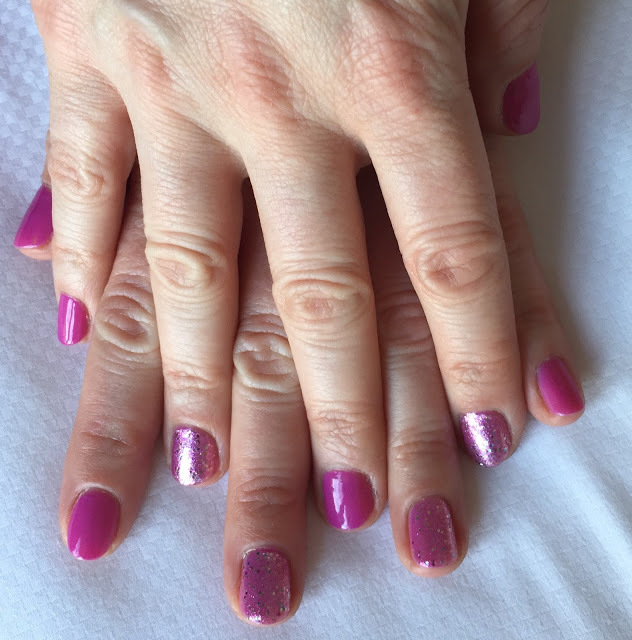 During a trip to San Francisco, I visited the fabulous Lavande Nail Spa for a manicure. And these adorable Hello Kitty colors just made me so happy the whole time they were on my nails. Rescue Beauty Lounge Recycle: One of my favorite colors. One of my favorite brands. Basically, Recycle is a match made in hunter green heaven. I WILL LOVE THIS COLOR FOREVER AND EVER. Rescue Beauty Lounge Ah, Oui with Zoya Cosmo: This manicure will always be a little bittersweet to me, since I had to wear it for WEEKS after breaking my ankle. Honestly, I'm not sure I'll be rushing to use either of these colors again, as beautiful as they both are. But at least I really loved the way my nails looked while I was stuck in the hospital! 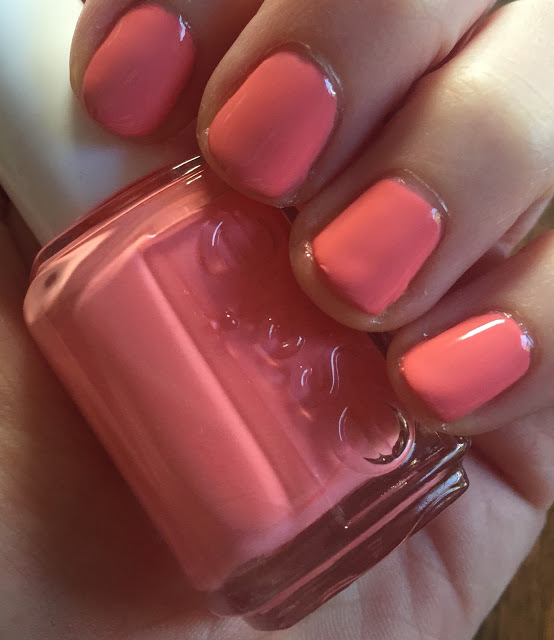 Essie Pool Side Service: This was my first manicure post ankle break and hospital release. A friend of mine from LA sent it to my mom's house in Cleveland just so I'd have a color to look forward to! I can't even express how incredible it felt to finally change my nails and feel like myself at least a little bit. Nails Inc. 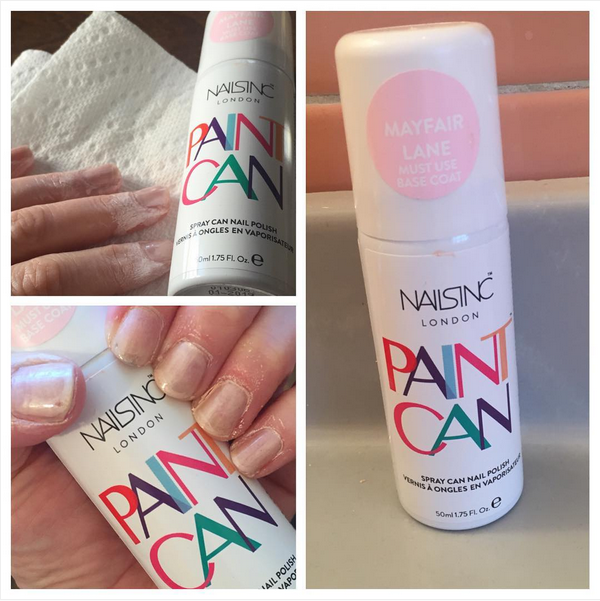 Paint Can Spray On Nail Polish in Mayfair Lane: I'd read about this revolutionary nail polish for months, so when I finally had the chance to try it, I had extremely high hopes. And while it may not have lived up to my expectations, I still am really glad I got the chance to check it out. A few kinks worked out and I think this beauty invention could probably turn itself around! 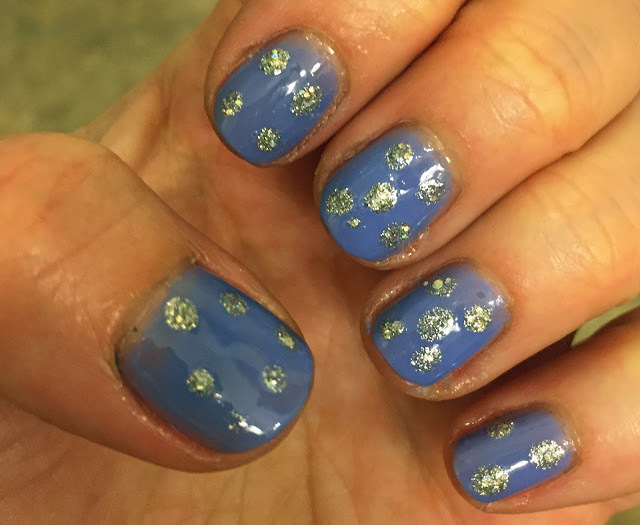 Nailing Hollywood Shade and Unicorn Manicure: Celebrity manicurist Jenna Hipp can basically do no wrong, so when I got the chance to try out these two gorgeous polishes, I jumped. Okay, I didn't really jump, since my ankle was broken, but you get the picture. I absolutely LOVED this combo. 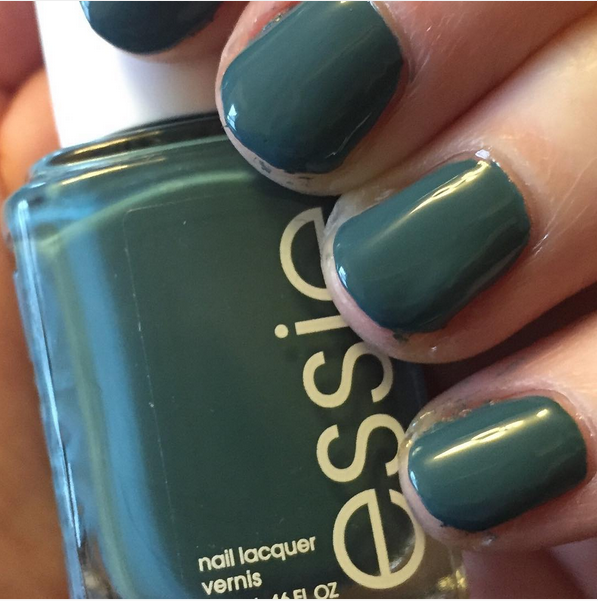 Essie Lounge Lover: When the going gets tough, the tough reach for fun and bright nail polishes! This vibrant, spring-appropriate coral definitely had my heart racing. OPI Show Us Your Tips! : April was an OPI-heavy mani month, since I was in Cleveland with my broken ankle and didn't have many polishes to choose from. Thankfully, this pretty shimmery lavender/periwinkle hybrid did not disappoint. 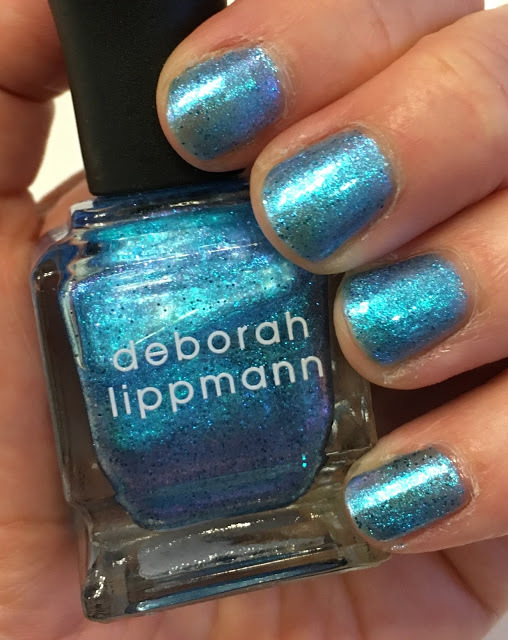 Deborah Lippmann Dirty Little Secret: You know those colors that just make you swoon? Well, that's what this color from Deborah Lippmann's Gel Lab Pro collection did for me. LOOK. AT. THAT. SPARKLE. Seriously, I canNOT get enough. 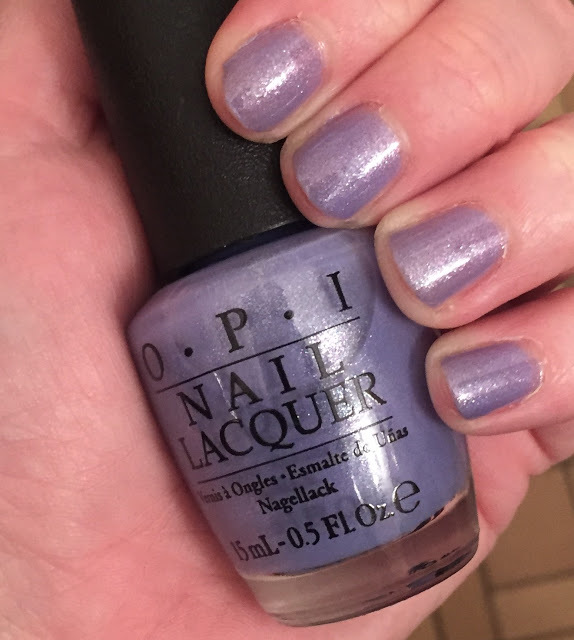 OPI I Manicure For Beads: This medium violet creme from OPI's New Orleans collection was definitely a standout of 2016 for me. I'm always a fan of purple polish, and this one immediately made its way into my must haves. 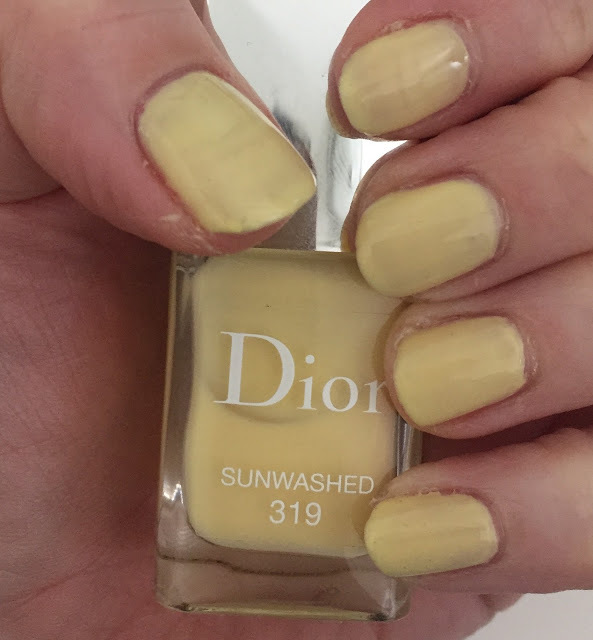 Dior Sunwashed: While I don't typically reach for yellow polishes, this one just expressed everything I was feeling upon my return to LA. My friend Kerry gave it to me the day I got back, and the sunny hue just begged to accompany my sunny, happy personality! Dior Cruise: Gold glitter and pastel pink? Match made in heaven. Especially when it's Dior. 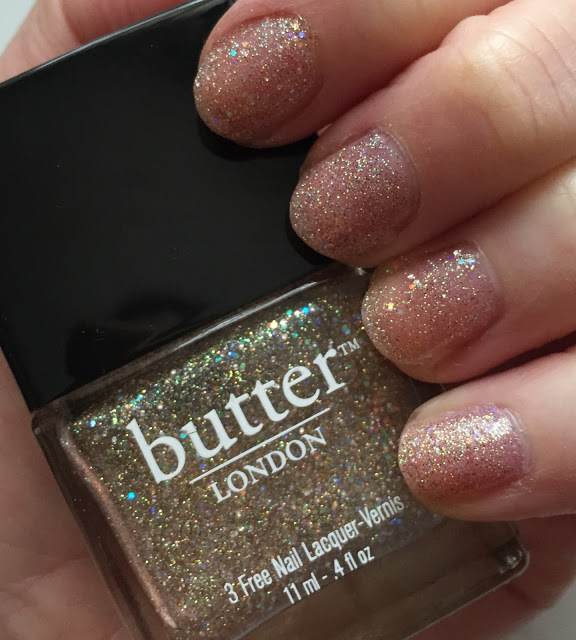 butter LONDON Tart With A Heart: Shimmery, sparkly, gold, gorgeous. Yeah, pretty much anything a girl needs to feel fabulous. Smith & Cult Bitter Buddhist: Oh. My. GOD. 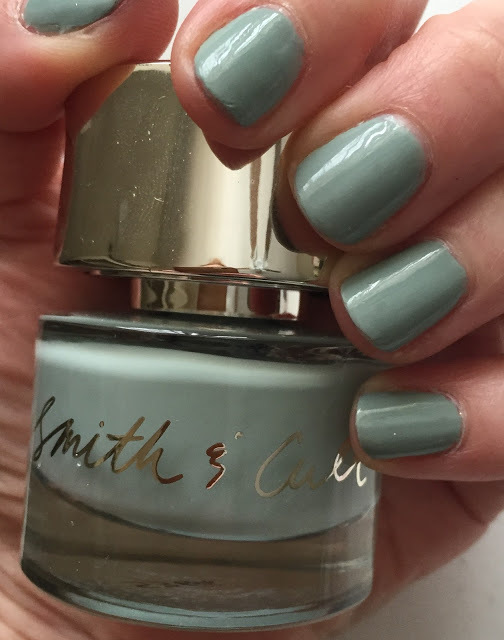 Smith & Cult is a brand I'd been curious about for a LONG time, and thank goodness I finally tried it. This dusty, dusky greyish green is everything. EVERYTHING. 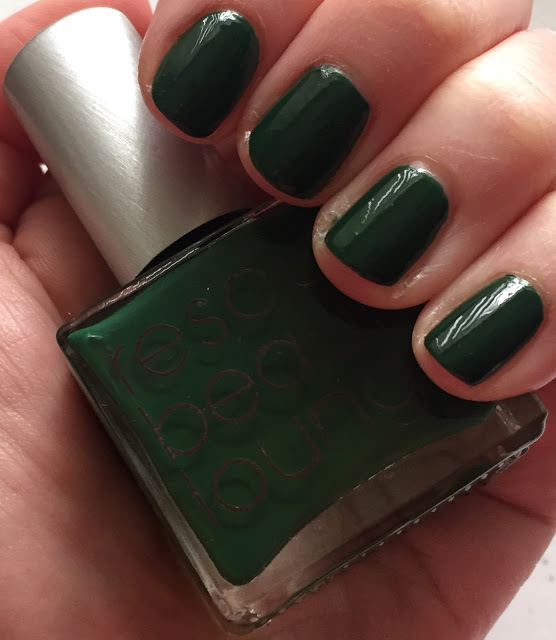 Rescue Beauty Lounge Manicurator: The rich teal really made this polish stand out for me. It was really just a bonus that the formula included gorgeous shimmery blue flecks. 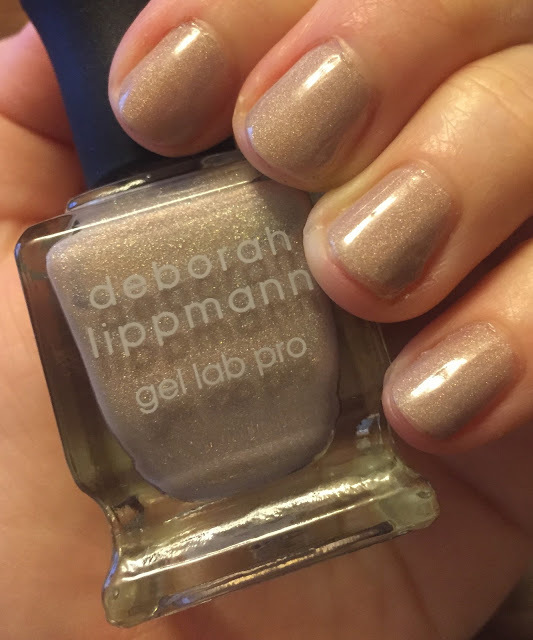 Deborah Lippmann Whip It: Sometimes I find nail polishes in my stash that I didn't even know were there. This gorgeous bright pink was one such color. How could I NOT fall immediately in love? A Wine and Gold Manicure for the Cleveland Cavaliers: You may not guess it to look at me, but I am a HUGE basketball fan. I went to a Big 10 school (Indiana Hoosiers, baby!) and I watched every single game this year as the Cavs defeated the Warriors. (Alone on my couch, since I live in California, but still.) I cried when the Cavs won. 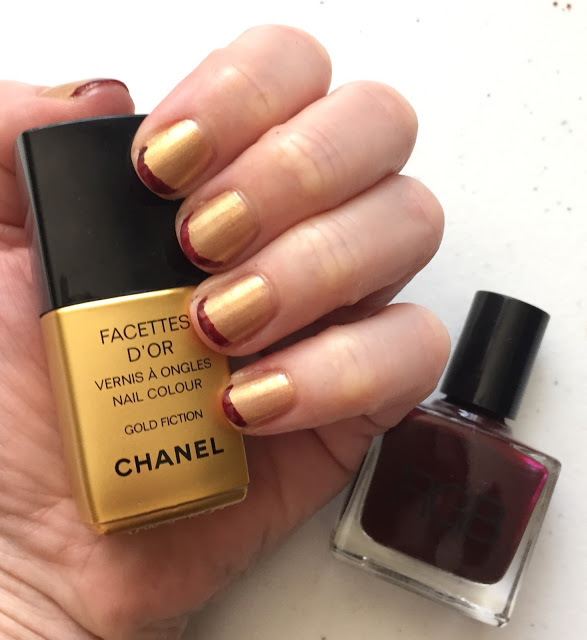 And I simply had to show my support for the wine and gold with a French manicure in Chanel Gold Fiction and RGB Oxblood. KBShimmer Don't Play Koi: So I'd heard the hype about KBShimmer. I'd considered buying some of the polishes over the years. I just never actually committed. Well, when I finally did? I wondered why I hadn't fallen down the rabbit hole a heck of a lot sooner. I absolutely love this neon-speckled white polish, and have found myself reaching for it more than once in the months since. 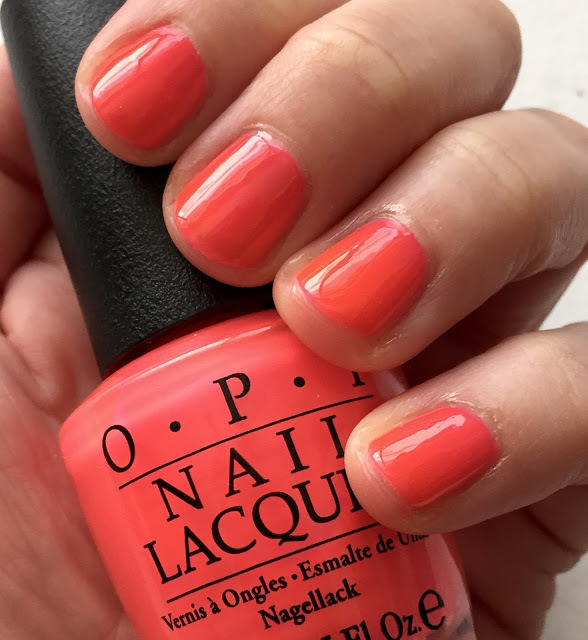 OPI No Doubt About It: I'm a sucker for neon nails, so this vibrant pinkish orange definitely had my heart racing. 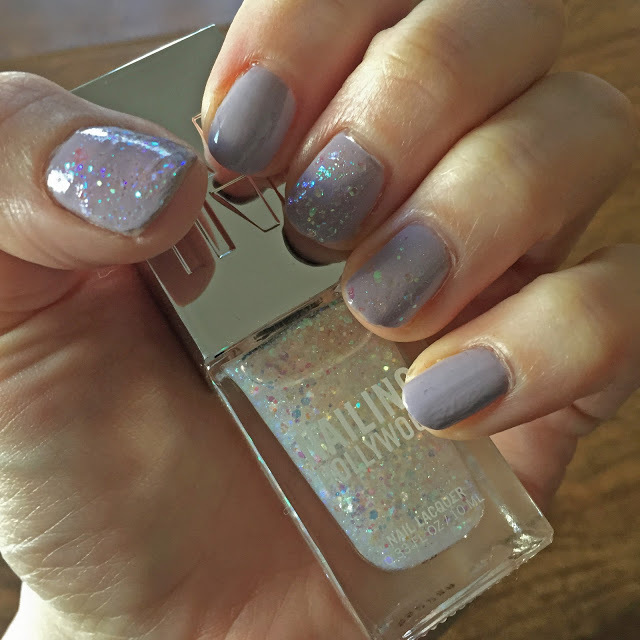 Smith & Cult Fauntleroy and Deborah Lippmann Glitter And Be Gay: Opaque muted lavender with a glittery gold and navy glitter accent nail. After a shocking two weeks with unpainted nails, this was definitely a fabulous way to get back into the polish game. KBShimmer Prints Charming: Another KBShimmer polish, another immediate love. This white crelly, flecked liberally with multicolored glitter, just begged to be noticed. OPI Super Cute In Pink: Yes, I used this polish twice this year -- but in totally different ways both times! I just had to kick off October with this super bright pink. Deborah Lippmann Xanadu: One of my favorite movies. One of my favorite Broadway shows. And now one of my favorite nail polishes. After a whopping two years trying to open this bottle (be sure to read the post for the full details), I'm SO glad I finally used it. 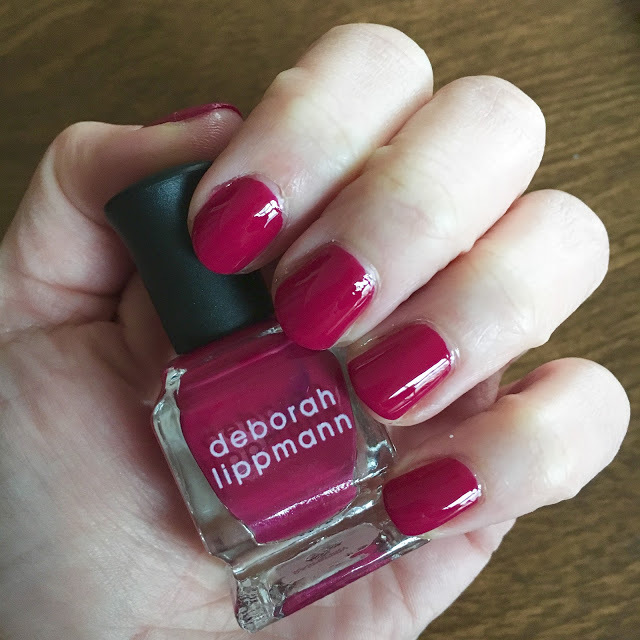 Deborah Lippmann Raspberry Jam: Although I don't normally gravitate toward reds and berries, sometimes they just call to me. This rich berry hue, from Deborah Lippmann's Very Berry nail polish set, most DEFINITELY called my name. 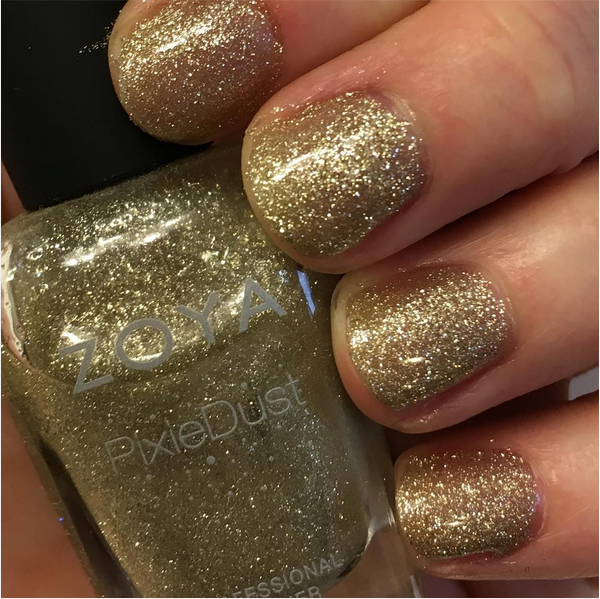 Zoya Tomoko: Because sometimes, you just really, REALLY need to paint your nails with a sparkly gold stunner. 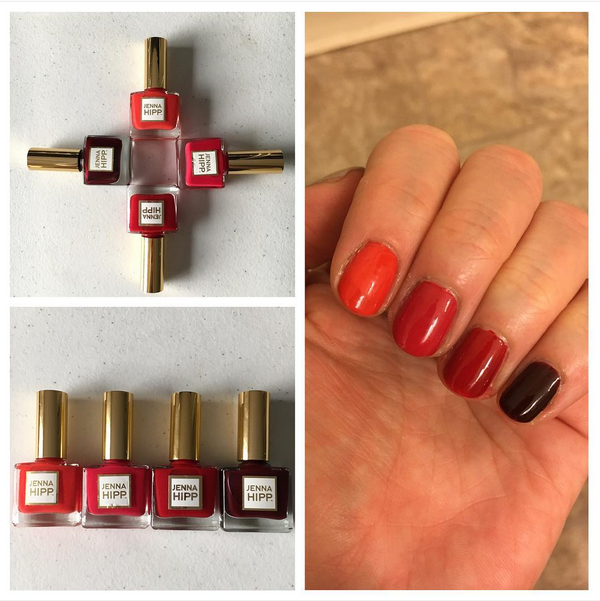 Jenna Hipp for Thrive Market Red Carpet Ready Collection Ombre Manicure: What better way to head into the holidays than with this gorgeous ombre red mani? I love everything by Jenna Hipp and these colors certainly did not disappoint! I'm loving Deborah Lippmann's Dirty Little Secret! How have I not seen that one before?! Isn't it such a great color? Yikes, so many pretties. Wish I had the butterLONDON Tart with a Heart! Maybe you can still find it! 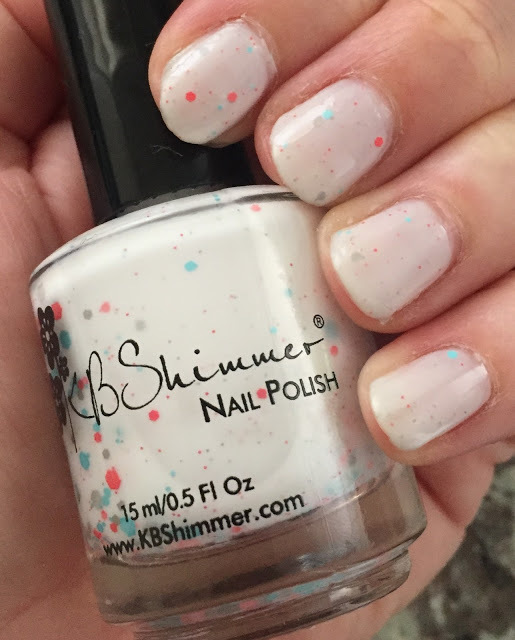 KBShimmer polishes are fabulous, and Don't Be Koi is a great choice! Hopefully 2017 brings you more of Christy's beauties! WOW, every single one is GORGEOUS! Your nails had a great year! These are all so pretty that Smith & Cult mani is my favorite! I need it for the beach!! You can get it on Birchbox! I'm so crazy about polish that I love seeing these. I need to buy some Smith & Cult. That's one brand that I haven't indulged in yet so it's great to see what their polishes look like. YES YOU DO!! I bought mine on Birchbox. I love all the pinks! Dior Cruise is so pretty! I'm missing RBL! So am I! I'm still so sad they closed. wow................... so many beauties are here. stunning polishes.